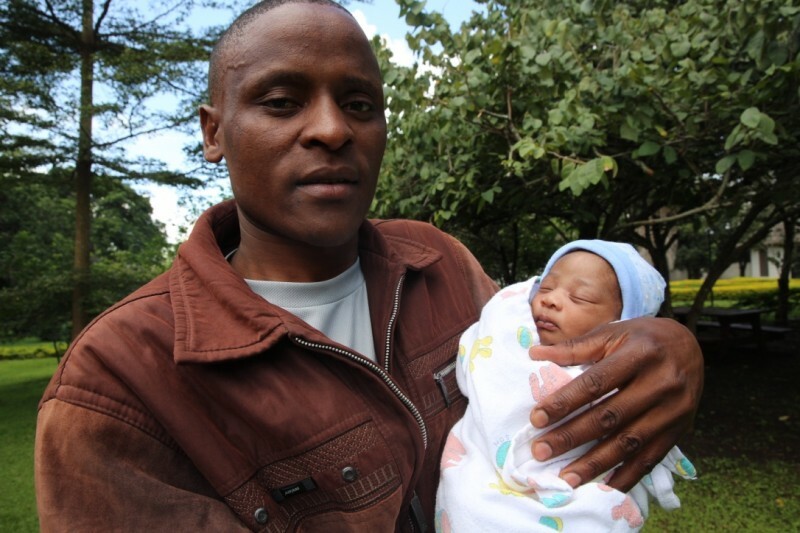 Today baby Tumaini arrived after her mother, Grace sadly died in childbirth at just 25 years old. She was undergoing an elective caesarean section at Olturumet Hospital in Ngarantoni as her first child was born this way and she died. The family have not been told why or how just that something went wrong and she died. Her parents Grace and Moses are Maasai and were happily married for three and a half years. They have a little boy called Joshua who is now 15 months old. Moses’s sister is assisting with the care of Joshua while he is at work and will also help out as much as she can when Tumaini returns home once she is weaned. 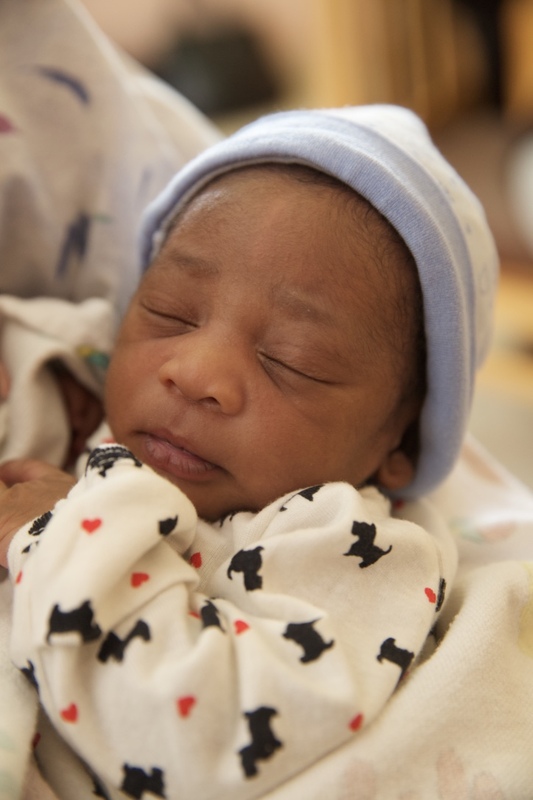 Tumaini is just 12 days old. She spent her first days in Mt Meru hospital as her mother was transferred here and lay in the mortuary of the hospital while her burial arrangements were being made. She was laid to rest 6 days after her tragic death. 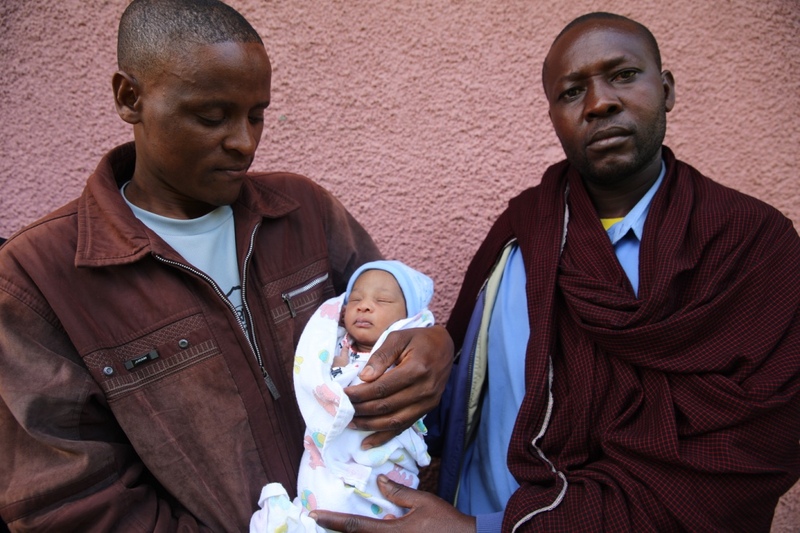 Tumaini is pictured here with her father, Moses who is 28 years old and her uncles. 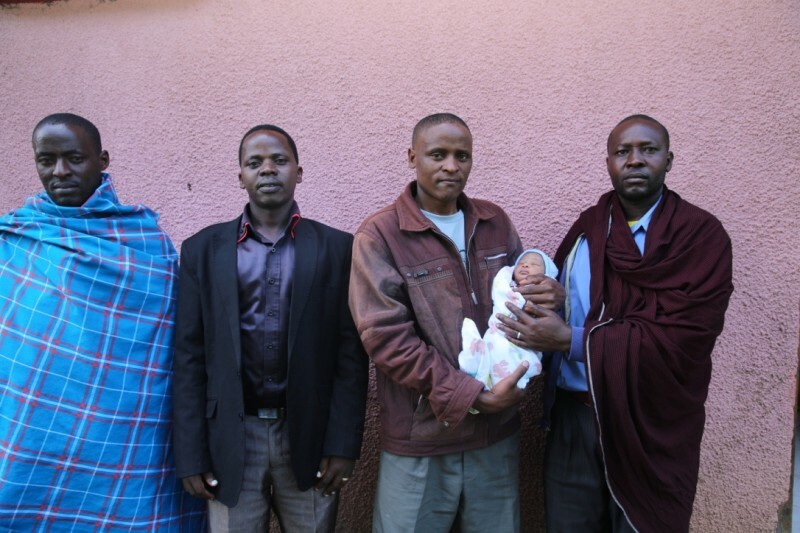 The 2 men on the left are her fathers brothers and the man on the right is her mother’s brother.